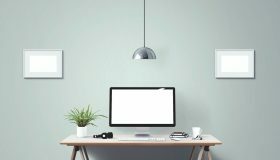 Anyone who sits at a computer desk for more than a couple hours each day knows the strain that lack of activity can put on your back, neck, and shoulders. Traditional office chairs do little to provide comfort to employees who must remain stationary throughout the workday. Ergonomic computer chairs, on the other hand, can produce remarkable changes in the way office employees feel and work in a short period. The benefits of ergonomic furniture are indisputable. Unfortunately, the expense is not. For those who’d rather not spend too much on comfort, this short list will give you an idea of where to look for the best office chair under $100. One of the most common reasons for missed work days in the United States is back pain. Roughly 50% of Americans admit to having back problems each year. This isn’t something that only affects those with a predisposition; in fact, anyone can experience back pain, regardless of their age or family history. Back pain is the third most common reason for doctor’s visits, coming in behind skin disorders and arthritis/joint disorders. Most cases of back pain aren’t caused by serious accidents or medical conditions. Instead, they’re considered mechanical, meaning they occur because of our actions and the way we move our bodies. Luckily, there’s a simple and inexpensive way to reduce back pain, especially for office workers who sit behind a desk most of the day. 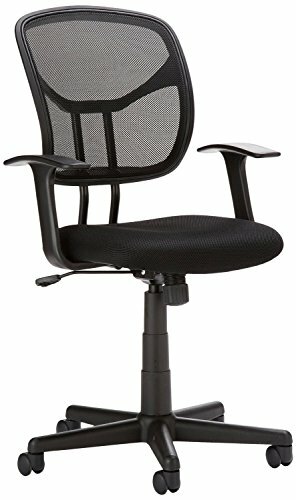 What Makes Ergonomic Computer Chairs Different? Traditional computer chairs don’t do much for comfort. In fact, they don’t do much at all. 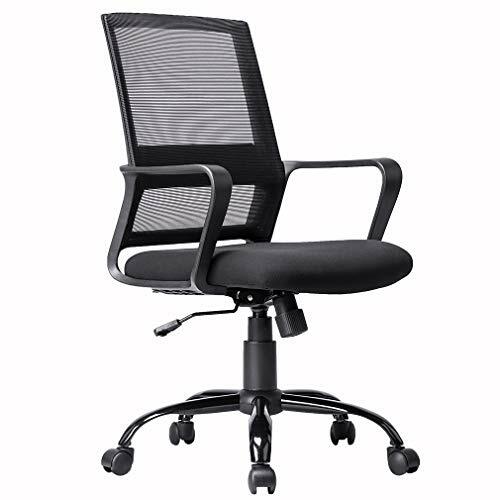 However, an ergonomic chair allows you to adjust seat height and shift the seat up or down to increase or decrease depth. Some ergonomic chairs also give you the option to recline, rock, and roll from desk to desk (or wherever you might want to go). In today’s modern world, this seems commonplace to many people. 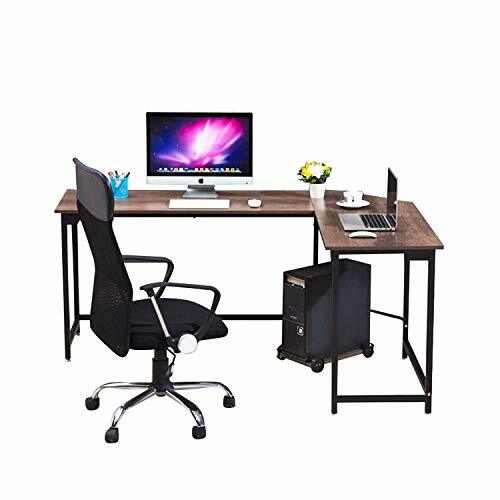 However, there is a surprisingly large number of people who still suffer in silence with their outdated computer chairs. Multiple studies have shown that comfortable seating is one of the most effective ways of showing employees they are valued in the work environment. Sitting in a proper computer chair helps employees focus on the work in front of them rather than their discomfort. This means fewer distractions, fewer trips to the bathroom (or anywhere else they can go to get away from that chair! ), and less complaining. 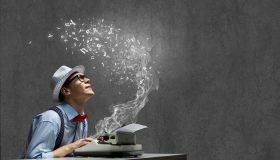 All of this has the potential to lead to increased productivity and a more fine-tuned team. Inadequately-designed office chairs can produce multiple health problems down the road for workers who may not even know their health is at risk. In the short term, a stiff, uncomfortable chair forces people to slouch or sit in awkward positions. This leads to poor posture, which contributes to a reduction in staff morale and productivity. 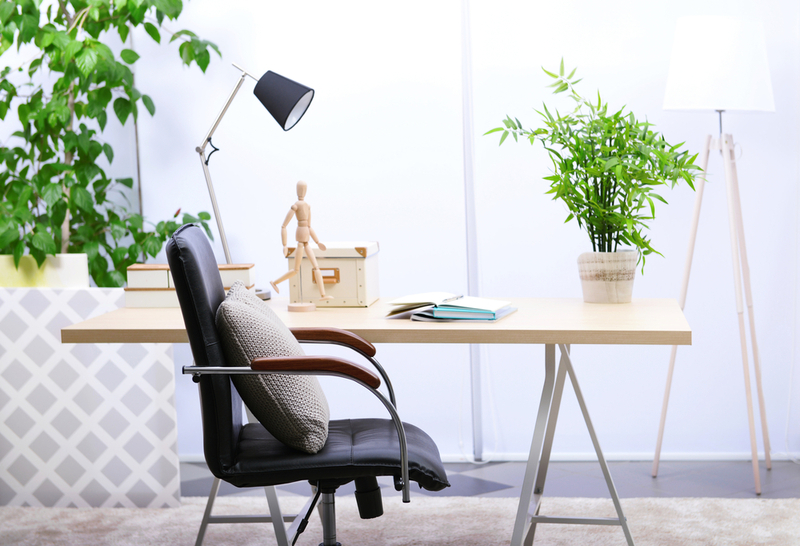 Chairs that encourage better posture can also significantly reduce healthcare costs, especially considering how often we go to the doctor each year with complaints of back pain. With a properly-designed chair, you can adjust the height of the seat, so your feet sit flat on the floor. Even this small adjustment places your body in a more comfortable position and reduces strain on your back. If you leave work with a stiff neck, you might also consider choosing a chair with a headrest that supports your neck. If that’s not an option, make sure your eyes are level with your computer screen (with a simple height adjustment). This keeps your head straight and helps eliminate neck pain. Hip problems are common as people age as well, and improper seating is one of the leading causes. Traditional chairs don’t offer much in the way of padding, which can result in extra pressure to the hips and further compression of the spine, especially over long periods. This can have a debilitating effect on mobility as well as concentration, and may even result in major medical expenses. One simple solution (although not guaranteed) is to purchase a chair with a couple inches (or more) of padding to properly support your weight. This eases the pressure on your hips and lets you focus on your work rather than your pain. 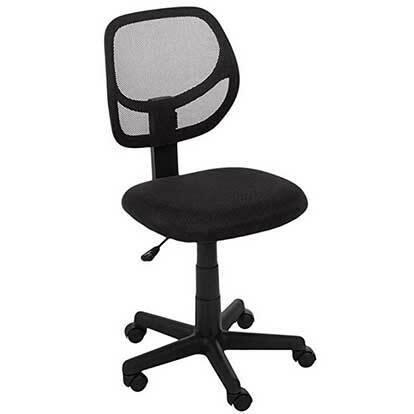 As most traditional office chairs offer very little padding, you can expect to pay a bit extra for an ergonomic chair. 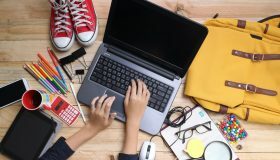 For some, the right computer chair can make all the difference in their quality and quantity of work. However, not everyone can afford a $300 or $500 chair! Luckily, it isn’t necessary to spend a lot of cash to feel the effects of an ergonomic chair. 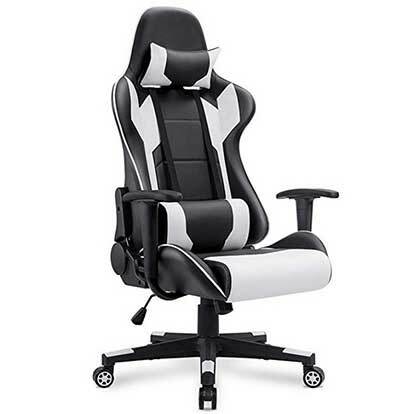 Below are five of the best selling computer chairs under $100. Ranging between $50 and $60, this AmazonBasics low-back computer chair boasts a decent number of features for a great price. The chair is contoured to fit your body and encourage proper posture. 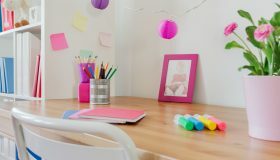 It’s also offered in various colors, so you can mix and match with the other furniture in your office. 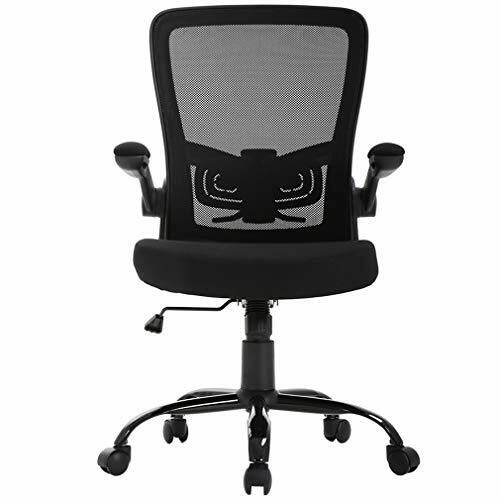 This modern design mimics the body’s natural shape and provides lumbar support without sacrificing style. It doesn’t include all the perks of a more expensive computer chair. However, it does pass BIFMA safety tests, so you know it’s reliable. 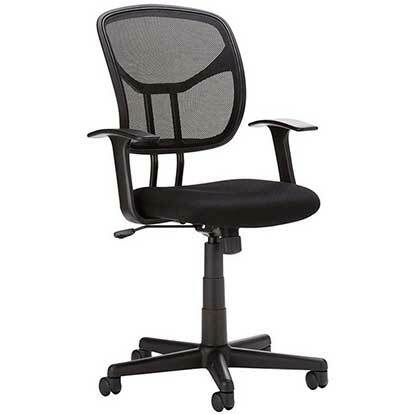 If you’re looking for a comfortable office chair with a contoured mesh back for enhanced breathability, this AmazonBasics mid-back is a good choice. It is ergonomic in design and provides support where it’s needed most. You’ll also be backed by Amazon’s limited warranty. This executive model is designed to provide comfort and style. It includes fashionable upholstery and lumbar support. 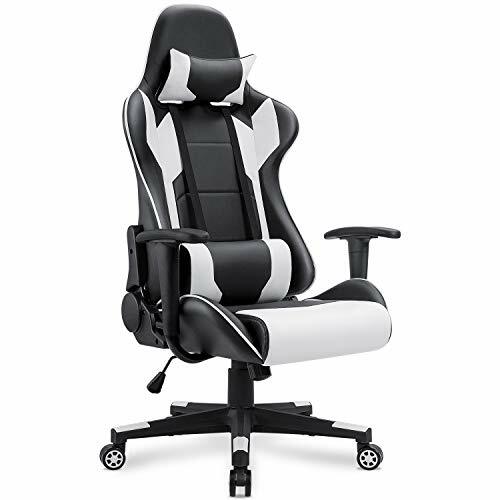 Although it doesn’t have all the bells and whistles of higher-priced mid-backs, this sleek computer chair is still a solid competitor. 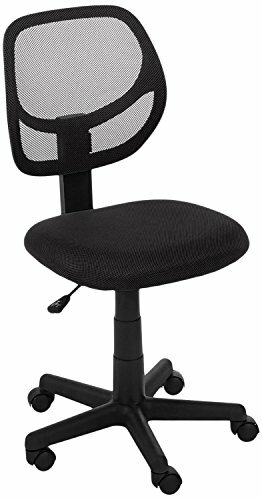 Homall’s computer chair is priced at just under $100 but offers a considerable bang for the buck. Not only is it available in multiple colors, but it’s also lined with furniture-quality PU leather. It seats up to 300 pounds, allowing for maximum comfort for people of all shapes and sizes. 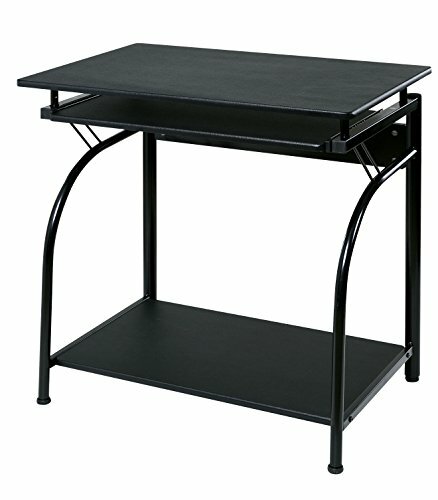 When researching computer chairs under $100, keep in mind that you don’t have to sacrifice quality for a lower price. There are a number of simple, inexpensive ergonomic chairs on the market that will provide you with much better back support and help reduce your pain. 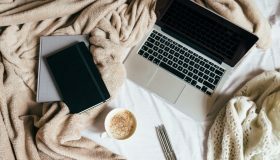 After all, the goal of your search should be to ensure your comfort, so you work more efficiently, not to bankrupt your employer!